Nia Hamm reports live from Hennessy's, the Boston bar where the 23-year-old woman was last seen on Saturday night. 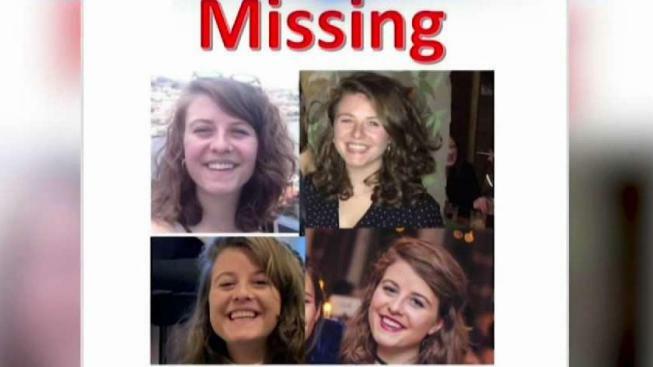 Boston police say 23-year-old Olivia Ambrose was last seen leaving Hennessy's on Union Street late Saturday night. Investigators released a timeline and surveillance images of a person of interest wanted in connection with the case on Tuesday. Anyone with information on Ambrose's whereabouts is asked to either call 911 or Boston police detectives at 617-343-4248. UPDATE: Olivia Ambrose was found alive Tuesday afternoon, and a suspect has been arrested on kidnapping charges, police said. Click here for the latest developments. Authorities have released a photo of a person of interest wanted for questioning in connection with the case of a missing 23-year-old woman who was last seen leaving a Boston bar Saturday night. Boston police also released a timeline of events and locations in downtown Boston and the nearby Charlestown neighborhood in an effort to get more tips surrounding Olivia Ambrose's disappearance. Investigators say Ambrose was last seen leaving Hennessy's on Union Street at 11:04 p.m. with a man who has since been determined to not be involved with her disappearance. About 40 minutes later, at 11:42 p.m., two unknown men are seen inviting Ambrose to walk with them near Congress and State streets. One of the men appears to walk ahead while the second one puts his arm around Ambrose and directs her to the State Street MBTA Station, according to police. At 12:01 a.m. on Sunday, surveillance video showed Ambrose with the second man, still with his arm around her, leaving the Bunker Hill Community College MBTA Station in Charlestown; investigators say the first man was no longer in any surveillance video moving forward. About 10 minutes later, around 12:13 a.m., Ambrose and the unidentified man are seen in the area of Green Street walking toward Bartlett Street, according to police. Investigators added that phone records showed Ambrose's phone was in the general area of the Bunker Hill Housing Development. The photo of the person of interest depicts a man who was wearing a beanie with a brim, a dark button-up shirt, dark pants and dark boots with a khaki-colored outer jacket and fingerless gloves. Ambrose was at Hennessy's, a bar in Boston near Faneuil Hall, with her twin sister and some friends when she went missing. According to her sister, she met a man at the bar and was talking to him for a while before they left together. "At some point, she went to the bathroom, met the guy, and we're talking for a while, and eventually left together," Francesca Ambrose, Olivia's twin, said, adding that she didn't think much of it until Sunday morning when she didn't hear from her. Ambrose is described as being about 5-foot-2, with blue eyes and curly brown hair. She was last seen wearing a red corduroy dress under a long gray coat. "She was supposed to meet with her workmates on Sunday — they had a tentative arrangement — and then she had a doctor's appointment this morning, and she hasn't shown up for any of those," said Heather Ambrose, the girl's mother. Ambrose moved to Jamaica Plain about a week ago, according to her family. Her family has been passing out posters, making calls and creating social media pages to help track her down. "It's your worst nightmare," said Michael Ambrose, the woman's father. "I'm trying to stay busy, and I'm trying to find her." Anyone with information about Olivia's whereabouts is asked to call 911 or Boston police detectives at 617-343-4248.